HomeBlogAre Dental Implants Safe for People with Diabetes? For people with diabetes, wounds heal slowly. High glucose levels disrupt the nerves and reduce blood circulation, making it hard for platelets, the cells responsible for clotting, to reach the wounds and start the healing process. It’s also difficult for white blood cells to reach the area and fight harmful microorganisms. As a result, people with diabetes wounds — including those from surgery — heal slower and are more prone to infection. This is the primary reason why some New Jerseyans who have diabetes are hesitant to take advantage of dental implants in Old Bridge, New Jersey. And they’re not alone in this belief — earlier studies found that implants are less stable among patients with uncontrolled diabetes. Current research, however, contradicts this thought. The American Academy of Implant Dentistry (AAID) says that dental implants are safe even for people with uncontrolled diabetes. The AAID cites a 2014 study published in the Journal of the American Dental Association which, unlike earlier studies, had a longer time-frame, allowing the researchers to study the long-term outcomes comprehensively. In fact, they followed up with patients at 3, 6, and 12 months after the surgery. Researchers found that none of the implants placed in 19 patients with uncontrolled diabetes failed. Moreover, Dr. Thomas Oates, lead author of the study, says that they found no relationship between high blood sugar levels and dental implant complications or failure. 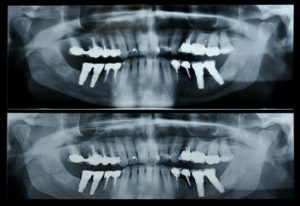 The study’s findings mirrored those of previous research published in the journal Implant Dentistry. The researchers investigated 34 patients with diabetes and registered a survival rate of 94.3% during the second-stage surgery (dentists often perform dental implant surgery in stages). The researchers also registered a survival rate of 99.9% at the final stage. These two studies prove that individuals with diabetes can still opt for dental implants. And although dental implants’ function is to give patients a complete set of pearly whites, the AAID adds that they help people with diabetes eat a healthier diet. Because they have a complete set of teeth, they can eat a wider range of foods that help control their blood sugar levels. Although research gives people with diabetes the go signal for dental implants, patients should still discuss some important factors with their dentists like their diabetic history before undergoing the procedure. The dentists will use these facts to weigh the risks. For instance, type 2 diabetes, the more controllable form, presents less risk than type 1 diabetes. Moreover, the procedure is safer for people who have just been diagnosed than those who have had the disease for years. Medical history counts, too. If a person with diabetes had a successful oral surgery before, the dentist can assess how long the expected recovery period would be. It’s important to visit a competent dental professional who can accommodate a person with diabetes properly. Such a dentist will follow recommended conditions for success among patients with diabetes, such as thorough patient assessments, stable HbA1c levels, proper oral hygiene, antibiotic protection, and avoidance of smoking. Midjersey Smiles can evaluate a diabetes patient’s health condition and assess if he or she is a good candidate for dental implants. Our dentists will work toward conducting a successful surgery while minimizing the risk of infections and keeping the patient comfortable.